The SC vacuum systems are equipped with the LABOPORTseries chemically-resistant diaphragm pump. SC systems include a vacuum controller for controlled vacuum processes. There is a wide range of applications for these vacuum systems in laboratories, whenever clean, constant vacuum is required. The heart of the very compact LABOPORT pumps used in the vacuum systems is KNF structured diaphragm. This patented diaphragm was stress-optimized using the finite elements method. As a result, we were able to make the pumps smaller while increasing the service life of the diaphragm. 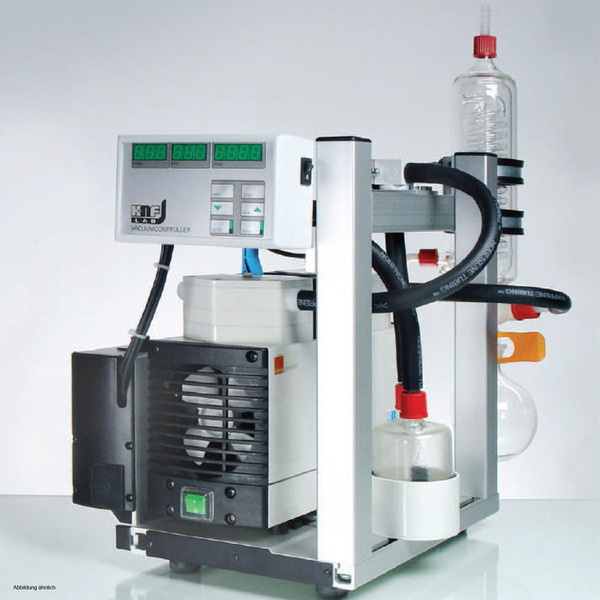 For laboratory applications, there is a wide variety of vacuum pumps with many different performance levels and various modular system components. The systems listed here are fully assembled at the factory. They can be converted quickly and easily; special tools are not required.